If you’re looking to buy or sell previously loved Fluevogs, you’ve come to the right place! 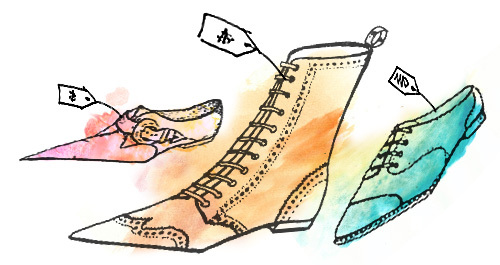 You can connect your eBay or Craigslist Fluevog post here or just list them au naturel. Or, browse through to find your next pair! If you’re desperate for a particular style, take advantage of our Wanted section. You never know what’s hiding in the closet of fellow Fluevogers. Please note: We take no responsibility for what happens in the FlueMarket, but we will keep an eye on it and help wherever we can!